I never mentioned this earlier but when I made my Avon purchase, I bought the Avon eyelash curler. It was on sale and I needed a new one as my old one had come apart at the connection. The Avon eyelash curler is a run of the mill eyelash curler. Decent and gets the job done. Unfortunately for me, something in the metal caused me to have an allergic reaction. 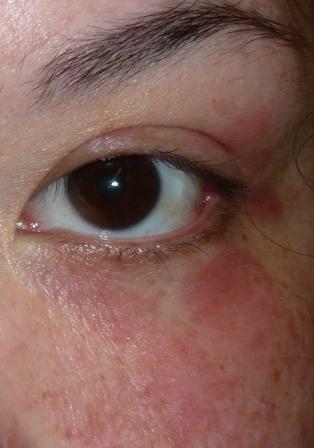 Huge welt-y hives appeared under my eyes and on the lower part of my eyelids. It took me a week to figure out what was causing it. I mean these hives burned when I put anything on them. Several hives also appeared on my chin area but I think this was just a secondary reaction as I kept using the curler for a few more days. 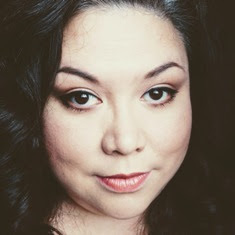 In my hunt for the cause, I had originally thought I had a reaction to the MAC Tan pigment I recently purchased but I tried the pigment again and did not get a reaction. So I tossed my mascara thinking that was the culprit. Nope. UGH I just tossed a perfectly good mascara! Finally, I went to the pharmacy to get some Benadryl. The area around my eyes was so itchy, I thought I would scratch the skin right off! I showed the pharmacist my eyes and asked what I could use on my eyes for an allergic reaction. She took one look at me and asked if I used an eye lash curler. I said, "Yes why?" She said she has seen this before and that I must be allergic to nickel. The welts under my eyes were right where the eyelash curler sits when I curl my lashes. So she brought me some hydrocortisone cream and told me to take the Benadryl and apply the hydrocortisone cream and go to bed. I used the cortisone for two days and the welts receded. Thank God!!! Now I have to deal with the dry skin patches the hives have turned into. AGGHHHH!!! My previous curler had a rubber coating on it so I did not know I was allergic to the nickel in eyelash curlers. I am allergic to some metals that are in cheap jewellery but I never knew I could have a reaction to an eyelash curler. Another lesson learned. 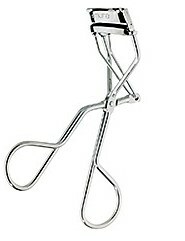 I am now on the hunt for a good plastic eyelash curler. Any recommendations? I can't recommend you a plastic eyelash curler sorry, but I can give you a trick for your allergies.